The world loves the Dhak-Dhak girl, Madhuri Dixit for her impeccable beauty, talent and her ‘ada’ that no one can ever get enough of. One of the most loved actresses of B-town, the diva leaves us speechless with every glimpse of her. 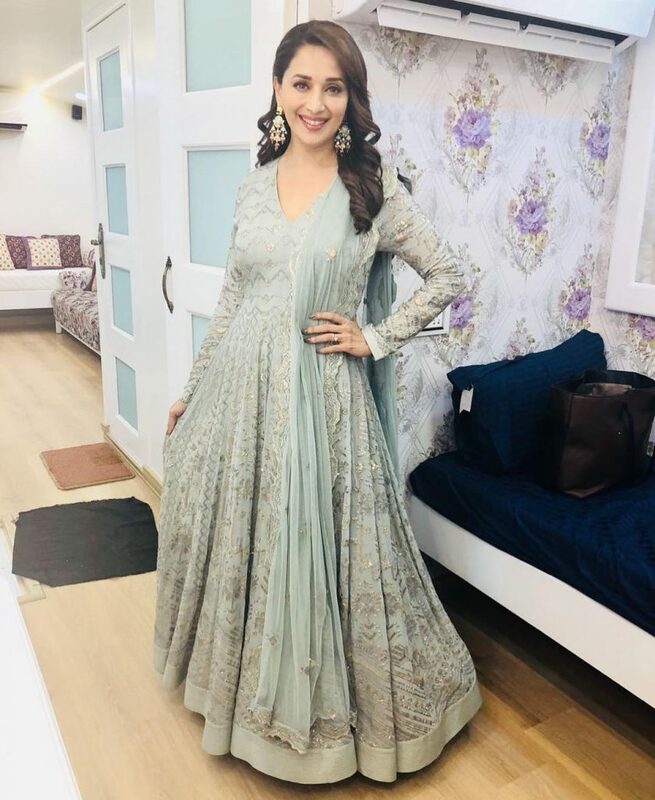 While the contestants of Colors’ Dance Deewane are stealing our hearts away with their performances, Madhuri Dixit is capturing our attention with her outstanding attires and the looks to die for. 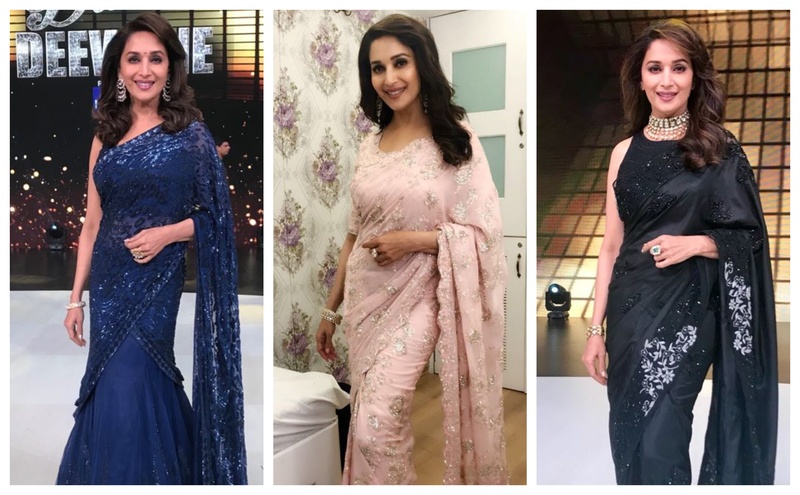 Here are 5 best looks of Madhuri Dixit from Dance Deewane that made our hearts stop dhak dhak. 1. The gorgeous heroine looks elegant in her black saree by Jade (Monica and Karishma) posing on Dance Deewane’s dance floor. 2. Anita Dongre’s yellow lehenga is a perfect fit for Madhuri making her look young and beautiful as ever! 3. 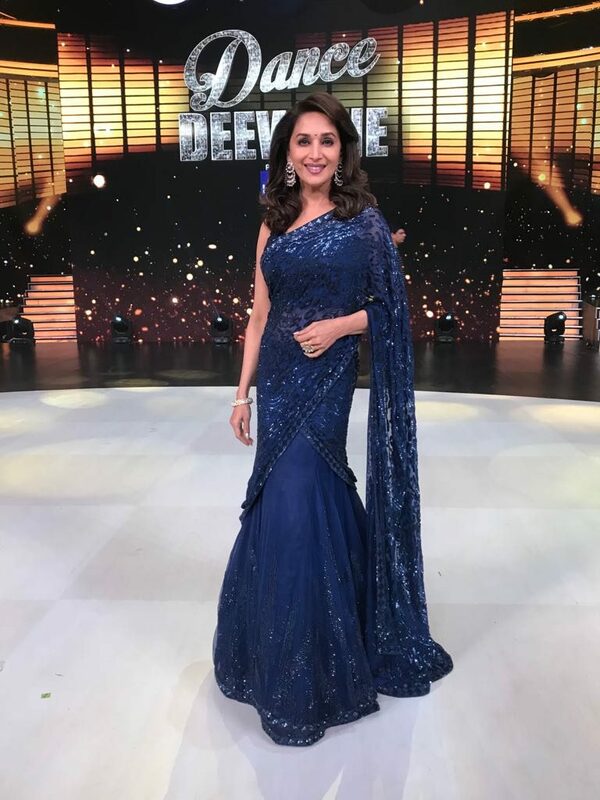 The dazzling blue saree by Mickey Contractor makes Madhuri Dixit look absolutely stunning! 4. 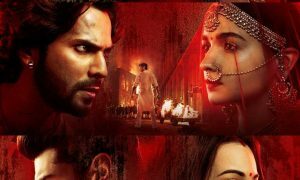 This Anarkali outfit designed by Varun and Nidhika would not have suited anyone better than Madhuri herself. 5. Madhuri Dixit looks extremely adorable in the pink saree from Surekha Jain Collection.